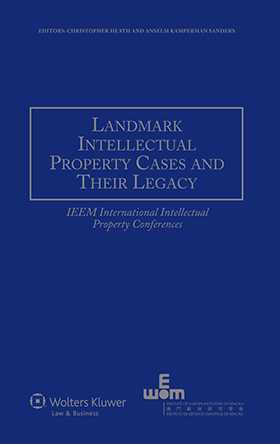 • Who should be master over the reputation, esteem and legacy of authors and their works – authors and their heirs, or subsequent copyright owners? • What, if any, protection should be granted to achievements in the absence of confusion? • Should prevention of unfair competition allow one to ‘reap what one has not sown’? • Should we protect commercial investment beyond the scope of defined intellectual property rights? • Should it be considered a tort to use a well-known mark in a way that may dilute its repute and distinctive character? • What kinds of monopolies should be protected, if any? • Does the patent system in its current form allow us to question the assumption that technological progress is good per se, and that novel and inventive solutions should thus be protected? • Should extraneous considerations such as public good and social usefulness be considered at the stages of grant and enforcement of patent rights? • Should we grant patents over living organisms whose workings and reproduction are a long way from being completely understood? • Should the rules developed for the enforcement of property rights limit a patentee’s remedies to appropriate damages, thereby effectively granting a compulsory licence? The book concludes with an analysis of two case clusters remarkable for the worldwide dimension of the dispute. The authors show how litigation over Lego in about 30 jurisdictions and Budweiser in over 40 jurisdictions has enriched doctrine on such issues as contract, trade marks, trade names, geographical indications, property rights in general, human rights, and various international and bilateral treaties, all as they impinge on the protection of intellectual property rights. For scholars in the field, as well as for lawyers seeking a rich vein of doctrine to buttress a case, this unusual book will be of incomparable value. As a masterful clarification of salient doctrine, it represents a major contribution to the legal theory underpinning intellectual property law.